Uploaded an interview with me to explain the Horror Writers Association during Grave Harvest Halloween Festival at The Hotel Fullerton (Fullerton, CA), October 2, 2016! Filming Credit by: All Things Haunted. 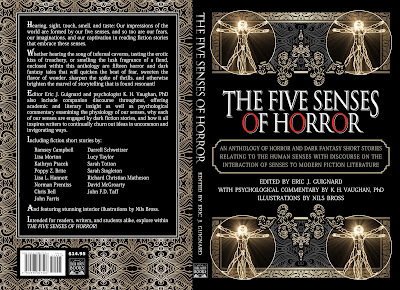 ANNOUNCING NEW ANTHOLOGY: "The Five Senses of Horror"
Behold and tremble (in anticipation! 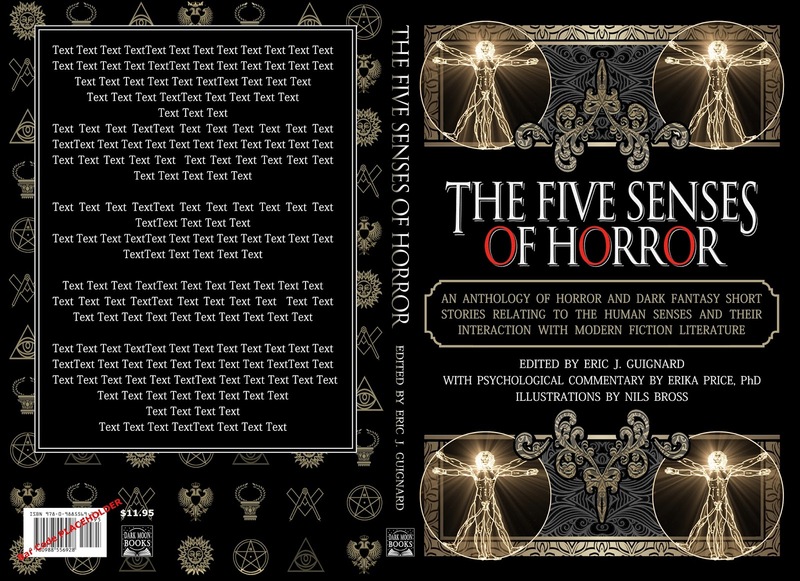 ), O horror short form fans! 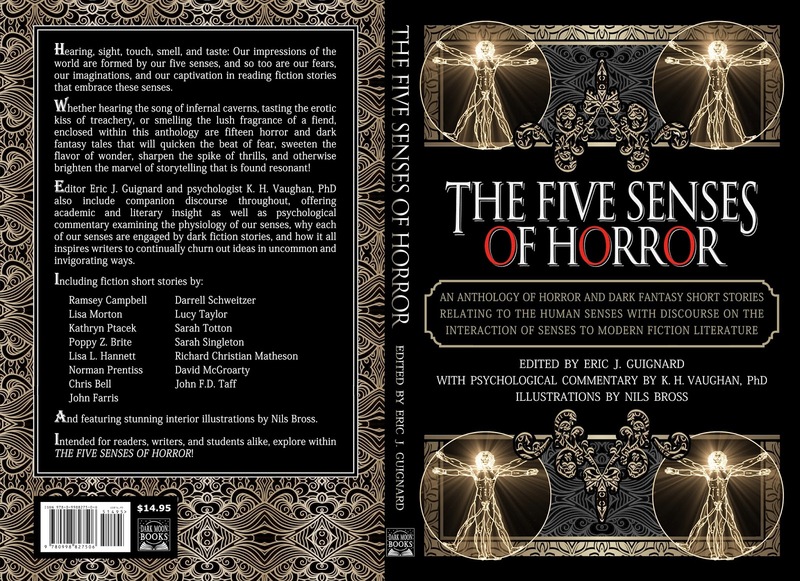 This includes the influence of horror and dark fantasy short fiction on the five human senses (interaction and relationship between imaginative horror perception and the senses) and how these insights can assist writers/ or how they’ve been used effectively by authors as inspiration within this form of writing. Including study and commentary from psychologist, Erika Price, PhD; Psychology Instructor at Loyola University Chicago & Statistics/ Methods Consultant. Including mind-numbingly gorgeous illustrations from artist, Nils Broß. I’ll also be discussing this as part of the Ann Radcliffe Academic Conference at StokerCon 2017!